Team Malaysia Tastes Victory at World Pasty Cup! 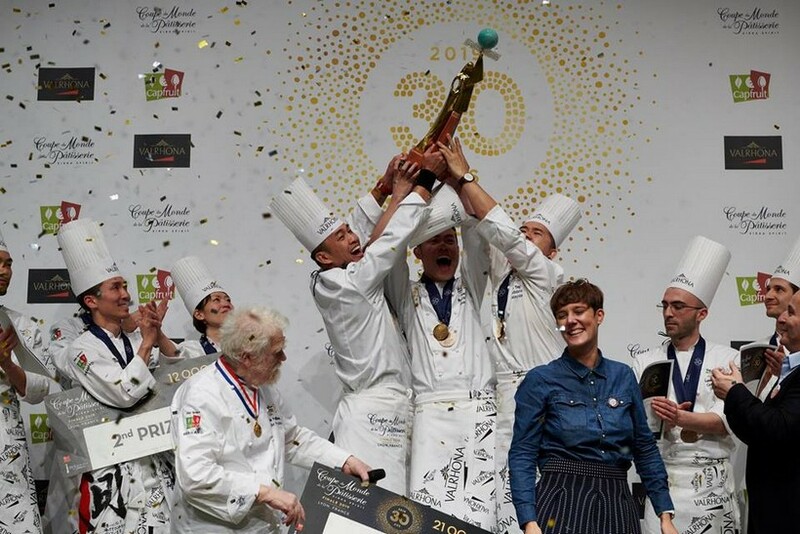 Team Malaysia have been crowned champions at the recent World Pastry Cup or Coupe du Monde de la Pâtisserie in Lyon, France. Held biannually to recognise the most gifted young pastry chefs in the world, the prestigious event drew 21 teams that had to flex their culinary muscles using sugar, chocolate and ice. The milestone marked the first time that Malaysia has ever taken home a win, be it gold, silver or bronze, since the inception of the event. From that to world champions overnight is a historic achievement and one the country can be truly proud of. Headed up by Patrick Siau, Head Chef and Teaching Fellow for the School of Hospitality at Sunway University, the team comprised Tan Wei Loon, Otto Tay and Loi Ming Ai. 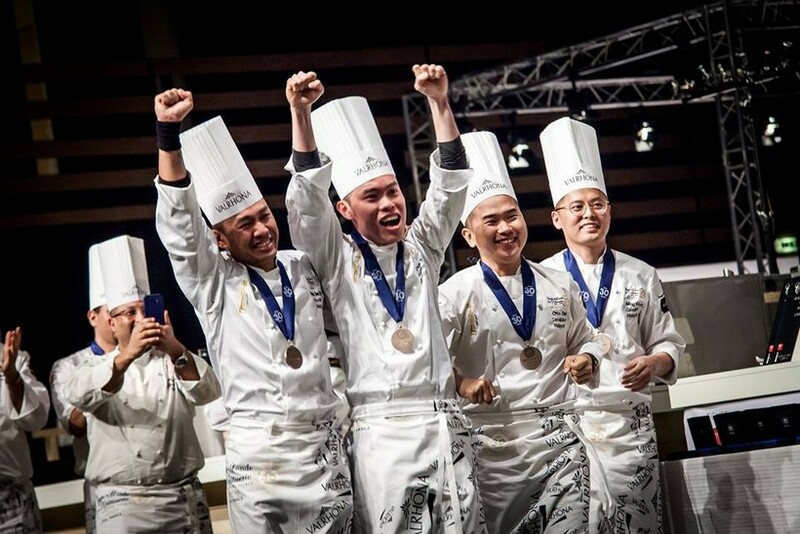 They managed to edge out teams from around the world in a nail-biting 10-hour finale, judged by the culinary elite. 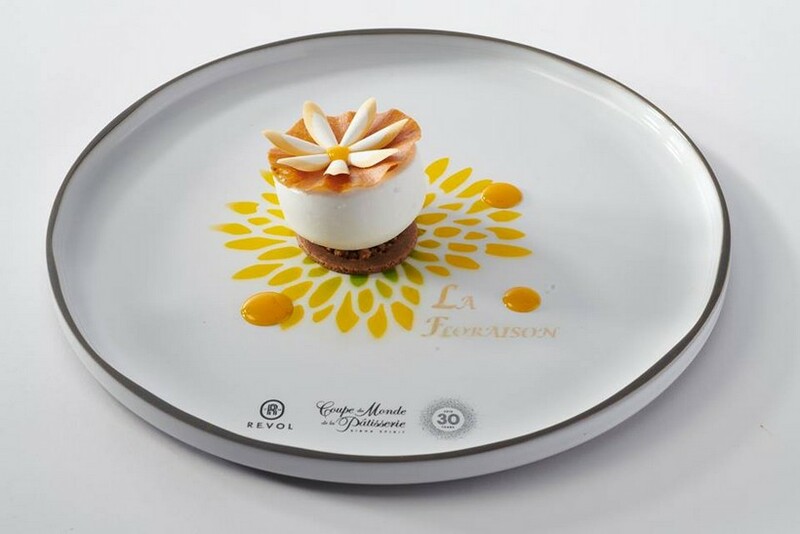 In that relatively short time frame, each team had to create no less than three chocolate desserts with Valrhona grands crus, three frozen fruit desserts from the Ravifruit range, 15 identical desserts on plate, and one artistic creation made each of sugar, chocolate, and sculpted hydric ice. In the end, Malaysia took the cake with a total of 11,904 points, followed by Japan in second place and Italy third place with 11,862 points and 11,083 points respectively. This year’s theme, Nature, Flora and Fauna, ramped up the difficulty level significantly in that teams had to produce one dessert made of 100% vegan products – a never-before-seen challenge – while also highlighting the declining bee population across the globe. Along with the champion’s trophy, the team was also awarded the Vase de Sèvres which honours the most beautiful creation. The striking sugar and chocolate sculpture by Team Malaysia featured a trio of meticulously crafted monkeys, dancing and singing in Elvis get-ups.